Achievers – desiring higher standards and accountability. Some people think of millennials as people who take pictures of themselves and their food, have a short attention span, live with their parents, communicate via typing, and who possess a weak work ethic. In education, there is sometimes the perception that millennial students do not make the extra effort, give off an air of entitlement, want to be spoon fed, and are lacking in social skills. They desire immediate feedback, may focus on their grade vs. what they have learned, and have difficulty interacting professionally to faculty. Some of you may be nodding your head in agreement. 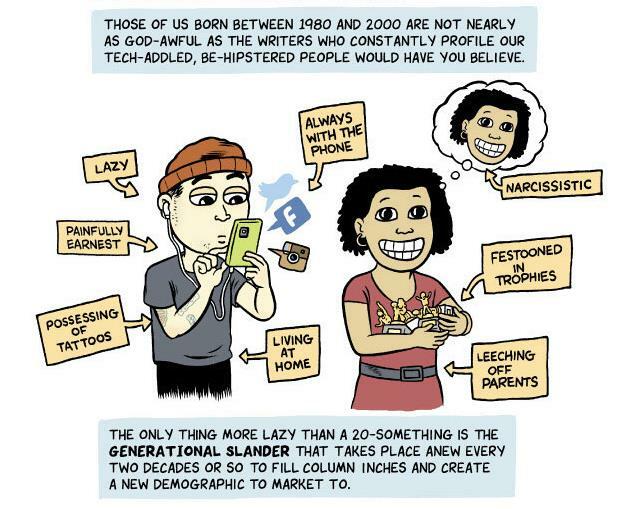 Is your initial response to a student’s smallest display of one of these traits to characterize this behavior as “typical millennial”? Are your performance expectations changed based on this one trait? Do you inadvertently discriminate when reading essays or grading? Have you ever preferred the non-traditional student who might more easily relate to the presented material and your comfort zone ? Isn’t this promotion of a stereotype? Society and technology have changed in a short time, and society is still adjusting to the “new normal.” Millennial students are wired for innovative learning and multi-tasking. Most educators are evolving more slowly than their techno-philic students. Traditional approaches to teaching may not address the learning style of a millennial student. Incorporating educational technologically advanced beyond the level of the Internet can be a challenging and time-consuming task. There can be faculty resentment that the student is not adapting to the teacher. To be successful, a teacher must compromise and adapt to the learning style of the pupil. Educators have the privilege and opportunity to teach this generation of texters the application of knowledge to the real world. We can lead the students out of the technological bubble they have surrounded themselves in and teach Millennials to be capable of successful communication with people outside of the millennial generation. Engagement via mentoring, problem solving, and innovative teaching will meet the educational needs of the digital students. Technology will continue to advance, with information at our fingertips and instant feedback the “norm.” Connected students are the future. It is our responsibility to engage the learner in a meaningful way to be effective educators and mentors. If you see a “typical trait” of a Millennial, don’t write that person off as arrogant, build a bridge. You may be surprised to see the student integrate what you have to offer, and place her or his own modern twist or application it.